Yesterday, Resource Works and the BC Restaurant and Food Services Association released a report that criticizes the City of Vancouver’s building policies and perpetuates the myth that there will be a “defacto” ban on natural gas within city limits. We wanted to circulate some clarifying information about the issue. The City of Vancouver is not banning natural gas. By 2050, natural gas must be derived from renewable sources. The Zero Emissions Building Plan and Green Building Rezoning Policy will lead to energy and operational cost savings. Resource Works’ own study points out that British Columbia has the potential to supply enough renewable natural gas for Vancouver’s needs. The City of Vancouver is not alone in adopting these targets and plans, but their job would be easier with more support from senior levels of government. There is no natural gas ban. It’s been said repeatedly. Natural gas can be used to heat water and space and cook food into the future. The City of Vancouver has said so (“We are not banning the use of natural gas…”) and we’ve even written an op-ed about the so-called ban. 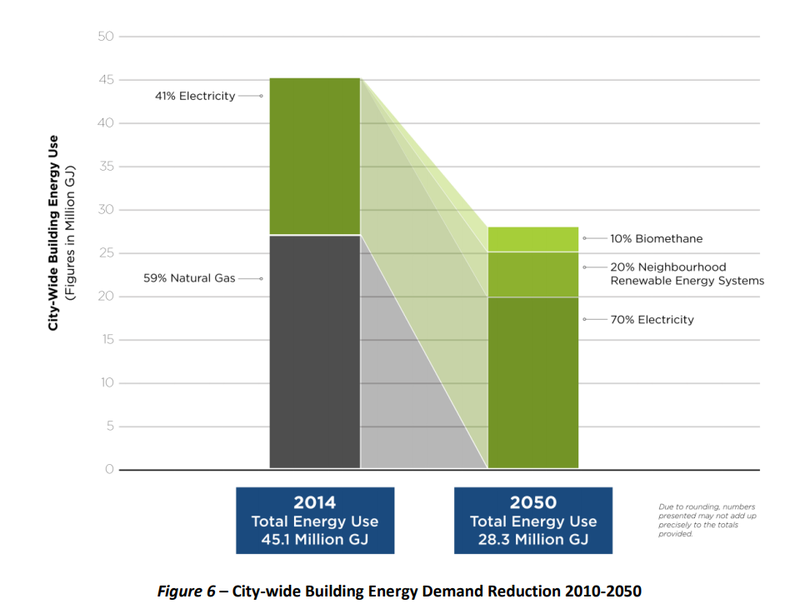 Under the Renewable City Strategy, the City has released the Zero Emissions Building Plan, which requires new buildings to be ultra energy efficient and emissions free by 2030, and the Green Building Rezoning Policy, which requires new rezoned properties be highly energy efficient, such as through the Passive House standard. Efficient homes and buildings save on energy and utility bills—and are healthier for occupants. According to a report commissioned by the City, a single family home built to Passive House Standard could see up to 25% in annual energy savings while incurring only a 2-7% premium in construction costs. Homes with upgraded insulation and windows could realize up to 25% in energy cost savings by using a heat pump instead of a natural gas furnace. What about apartments and condos? 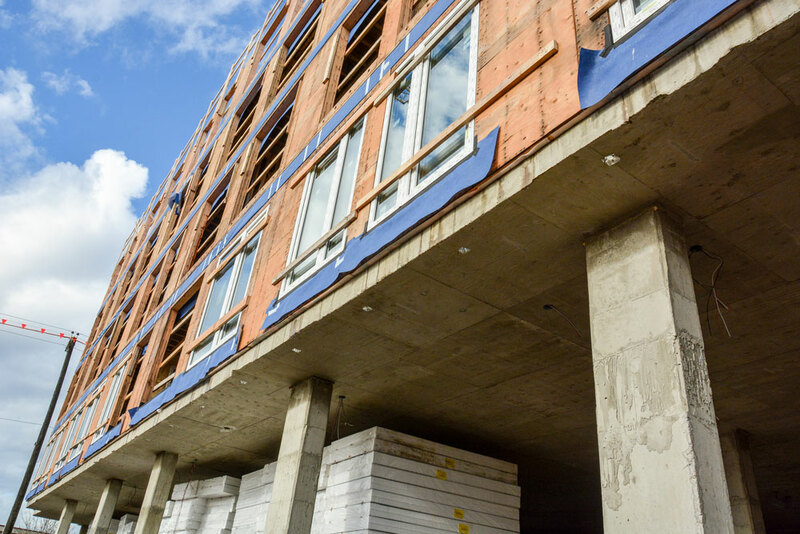 If the 85-unit Heights development in East Vancouver is any indication, residents in Passive House multi-unit residential buildings might see monthly utility bills of only $10. While Vancouver’s plans will drastically reduce the amount of energy that residents and businesses need to buy, fuel is still required for lighting, heating, cooking, and other commercial processes. Wherever renewable electricity won’t do—for some homes and and industries, such as restaurants—renewable natural gas (RNG or biomethane) can be used. ENTER RENEWABLE NATURAL GAS, MADE IN B.C. Resource Works’ report claims that cheap natural gas is a certainty in the future. Maybe, but maybe not if history is a guide. Internationally traded commodities are subject to price volatility. The report even cites a study commissioned by the provincial government and FortisBC, which points out that British Columbia could supply enough renewable natural gas to match Vancouver’s needs. FortisBC admits that there is plenty of demand for renewable natural gas in the province, and already sources RNG from a variety of local producers, like landfills in Salmon Arm and Kelowna and farms in the Fraser Valley and in Delta. Imagine the potential of a future RNG supply market unleashed by municipal, provincial, and national policies. This is a great example of the magic that can happen when the province and feds cooperate with municipalities and industry to achieve common goals. More of this, please. VANCOUVER, OUT ON A LIMB? The Resource Works report argues that municipalities should not be involved in tackling the challenge of climate change, that this should be within the purview of provincial and national governments only. We could not disagree more. Cities like Vancouver have been leading in reducing emissions and adapting to climate change for decades, for a number of good reasons. We have said it before in an op-ed, ambitious climate and energy policies are becoming the new norm. Last year, the BC Liberals created legislation to enable net zero emissions ready buildings by 2032. Vancouver’s not alone in adopting a comprehensive 100% RE strategy. Our provincial capital has the same target, and a number of other municipalities are considering the same goal, such as Saanich. Not to be outdone, our neighbours to the south in Portland, Oregon have also adopted a 100% RE target. Clearly there remains plenty of work to be done in understanding and implementing these building policies in a way that aligns with multiple priorities, including affordability. But we need to have a conversation with reliable information and applaud forward-looking innovation in cities like Vancouver.